The specialty organic grocery retailer has created a potent sales niche for local wines and beers. Natural Grocers' Cottage Wine and Craft Beer concept is a perfect fit for Colorado and Oregon, as they are ranked fifth and sixth, respectively, in craft beer consumption in the nation. Consumer trends for high-quality local organic products, including wines and beers, continue to redefine the retail experience and create new sales opportunities. Organic products, after all, fuel valuable organic growth. Capitalizing on this, Colorado-based Natural Grocers recently expanded its Cottage Wine and Craft Beer concept–a specialty section or nook within a store–to six of its 12 Oregon stores. “The Cottage concept has added incremental sales on average in the mid-single digit range to our Denver store, which we consider a good start,” says Kemper Isely, co-president of Natural Grocers. Natural Grocers launched the Cottage Wine and Craft Beer concept, which features more than 200 brands and 678 SKUs, in Denver in August 2017. The concept got off to a fast start, outpacing average grocery store annual sales growth. Total U.S. supermarket sales of $682.7 billion in 2017 increased about 0.05% from 2016, according to Progressive Grocer stats. The concept, consequently, expanded to a new company store in Coos Bay, Oregon in May, and then to other existing Beaver State stores in Medford, Cresham, Beaverton, Portland, and Warrenton this summer. 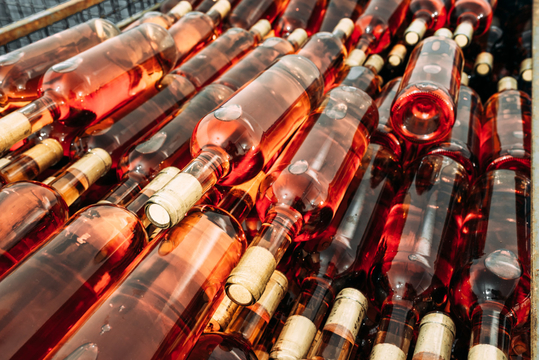 While product numbers vary, the Oregon stores have approximately 150 wine and beer brands and 500 SKUs. “We anticipate this to add incremental sales slightly below what we are seeing so far in Denver,” Isely says. 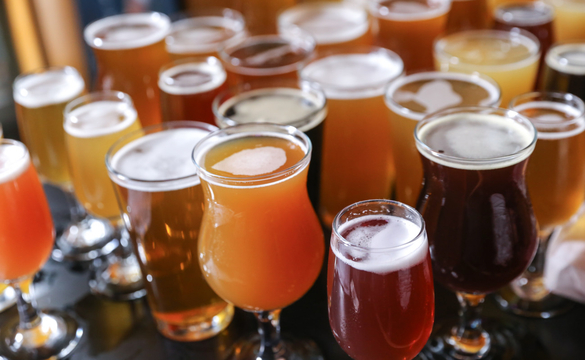 Colorado and Oregon were ripe for the concept, as they are two of the biggest states for craft beer consumption, respectively ranked fifth and sixth by per capita consumption, according to the Brewers Association. Craft beer (up 5% nationwide in 2017) is the fastest growing U.S. beer market segment. Oregon is also the fifth-largest U.S. wine producing state and expanding. At the original Denver location of the Cottage Wine and Craft Beer concept, the top two wines by volume are rosés. The top two local cottage wines by volume at the Denver location are Ananto Bobal Rosé ($10 a 750-ml.) and Natura Rosé ($12). The top two wines by dollar sales are Delicato Earth Wise Red Blend ($26 a 3-liter box) and Natura Rosé. Meanwhile, the top two local craft beers by volume at the Denver store are Epic India Pale Ales ($12 a 6-pack) and River North Colorado IPA ($10). The top two brews by dollar sales are Epic Los Locos Mexican Lager ($11) and Great Divide Brewing Company’s mixed 12-pack ($19). The Cottage concept in Oregon is a section in the store, but staff is shared with other categories. Conversions of existing Oregon stores depended on the space in each store. “For a small set you can convert 16-24 feet of a nonproductive space fairly quickly, but you must get the appropriate shelving for the weight of the product,” Isely notes. With 147 stores in 19 states, plans to further expand the cottage concept are under review. “We are encouraged by the early results and will monitor how things are going as we continue to test and learn,” Isely says.